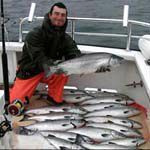 Alaska offers a wide range of experiences for fishermen wanting to fish offshore. 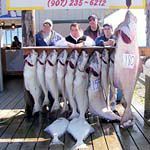 Salmon and halibut in Alaska waters are famous, but other species like rock fish, ling cod, crab, shrimp and sharks are available in some localities. 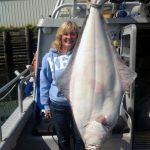 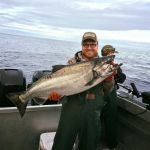 Some Alaska fishing charters provide half or full day trips, others provide complete trip packages including on-shore lodging and meals, and others provide days-long live aboard cruises. 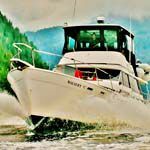 6 night, 7 day charters aboard the 95' yacht. 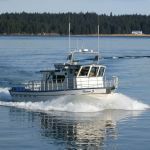 Caledonia + 28' tender Caly. 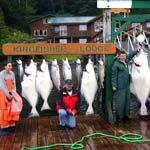 All inclusive food, crew of 5, just buy your fishing license and king salmon stamp.